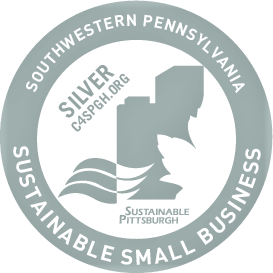 Evolve Modern Hairdressing is excited to announce that they have earned the Silver designation from Southwestern Pennsylvania’s Sustainable Small Business Designation Program! The program recognizes small businesses for implementing sustainable actions that are good for the environment and the social fabric of their communities. Find out more about Sustainable Pittsburgh.